My name is Tony Higuera and I am your Council International Representative. I am very excited to serve in this capacity as I spent 70% of my 27-year career as an Air Force officer overseas, and I consider it to be one of my most interesting and rewarding life experience. In the past 3 years my son TJ, Eagle Scout and member of Troop 1911 in Missoula, has had the opportunity to experience Scouting in Spain, Canada and the United Kingdom, and he can attest to how much fun and interesting it was to spend time with scouts of other nations. In general terms, the International Representative, in cooperation with the council leadership, sets up a communications and organizational plan that will make it possible to keep the council members informed of the opportunities for program enrichment in the area of international Scouting: from Scouting opportunities overseas, to the international awards program and the World Jamboree. I am supported via the BSA International Department in Irving, TX. Through the BSA’s International Department, American Scouts and international Scouts are provided a common resource for programs, funding, and training that increases and enhances their experience in the brotherhood of Scouting. BSA Scouting Outside the U.S. Please, feel free to contact me with any questions of international scouting nature. In 2019, more than 40,000 Scouts and leaders from more than 150 countries around the world will converge on Summit Bechtel Reserve, West Virginia, for the 24th World Scout Jamboree. Most National Scout Organizations have both men and women participants, so about half of the WSJ participants are girls and women. The focus is more on meeting people from different cultures and countries than doing high-adventure activities. Sure, you will have plenty of opportunities to zip-line, kayak, and ride mountain bikes, but you will also have many opportunities to meet new friends and learn what Scouting and life are like in other countries. The World Scout Jamboree has special programs for participants to learn about different cultures, sustainability, peace, and community service. These activities are intended to give participants an opportunity to learn new things and to build new friendships. More about the 2019 World Scout Jamboree can be found here! How many countries are involved in scouting? Scouting is currently active in 216 countries and territories, with a global membership of over 40 million. Two-thirds of the international membership are in developing countries. The World Organization of Scout Movements (WOSM) is an international body that supports Scouts across the world. 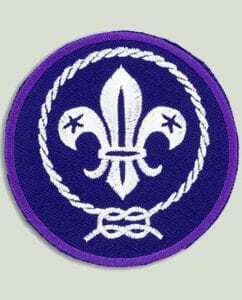 What is the role of the World Organization of the Scout Movement in the world? The World Organization of the Scout Movement (WOSM) is a non-governmental international organization which governs most national Scout Organizations. WOSM was established in 1920 and has its headquarters in Geneva, Switzerland. The WOSM’s current stated mission is “to contribute to the education of young people, through a value system based on the Scout Promise and Scout Law, to help build a better world where people are self-fulfilled as individuals and play a constructive role in society”. WOSM is organized into regions and operates with a conference, committee and bureau.